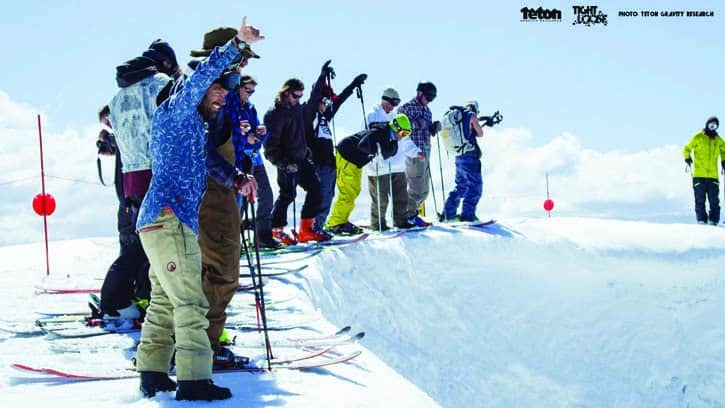 Friday, Nov. 25 at 7 p.m.—KILLINGTON—Teton Gravity Research (TGR), the global leader in youth-culture media, is pleased to announce the release and global tour of its film, “Tight Loose,” a project that marks the media house’s 21 year in business. The film will premiere in Killington Friday, Nov. 25 at 7 p.m. at Killington Resort’s Snowshed Lodge. Tickets are $10. Come experience “Tight Loose” to join the celebration of TGR’s 21st birthday. The tighter your show, the looser you can be. During 21 years of traveling the globe and pushing the boundaries of what is possible, TGR has experienced the full spectrum of adventure. The process has been a constant evolution of refining a lifestyle—keeping things buttoned up on the front end in order to seize the moment when things get to the edge of control. “Tight Loose” is TGR’s highest achievement to date. From India to Alaska, discover unridden spine walls, massive airs and full-throttle riding in some of the wildest and most spectacular places on earth. Witness 21 years of TGR athletes as they reunite for a throw-down on a massive group shred of the Palisades at Squaw Valley. “Tight Loose” is living to the fullest. Watch the trailer at: tetongravity.com/films/tight-loose. A still photograph taken from the film “Tight Loose” shows the group ready to shred the “Palisades” at Squaw Valley, California. See this and many more adventures, Friday.